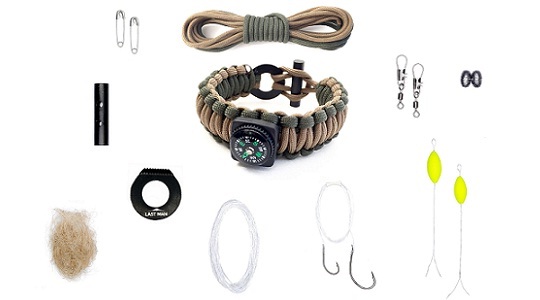 The LAST MAN Food, Fire, Shelter paracord bracelet survival kit by Unboxed LLC. Why just follow fashion and style? You might wonder to know about the best possible use of your very special Bracelet which will convert into a quick Survival Gear kit. It has everything including built-in-compass, fire starter, emergency knife & whistle which will save your life in an unexpected situation. When unfolded this corba woven paracord bracelet it contains 16 pieces in together with all those tools needed just to make things quick and easy.